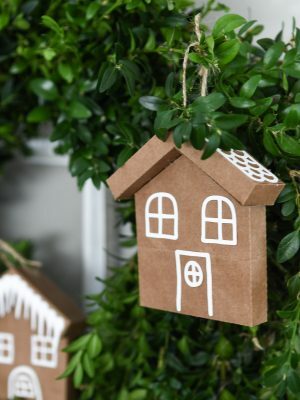 Save money this Christmas by decorating with paper! 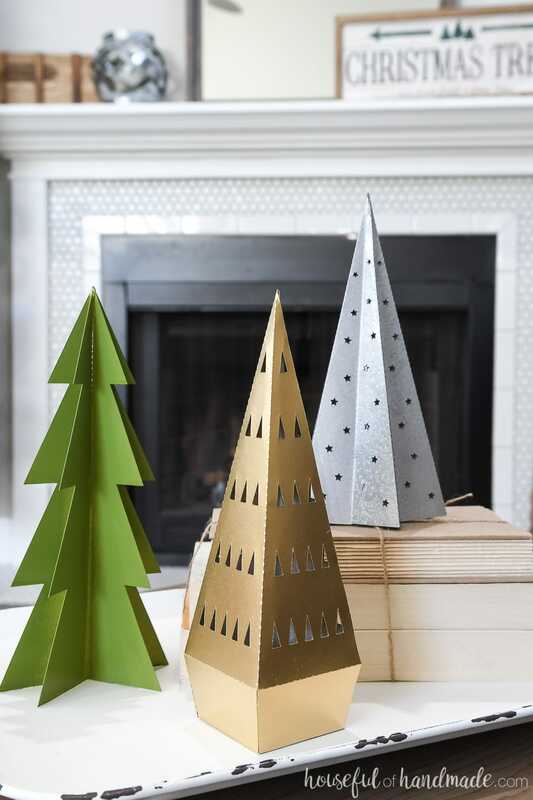 Create a forest of paper Christmas trees to sprinkle all over your house. 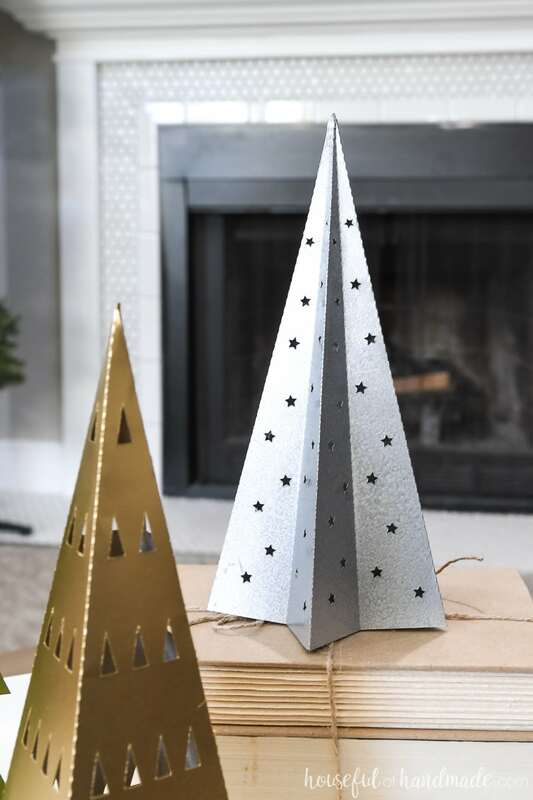 Each Christmas tree can be made from a single sheet of cardstock and measures 8-9″ tall. Three different designs: Star (shown in silver), Modern (shown in gold) and Classic (shown in green). 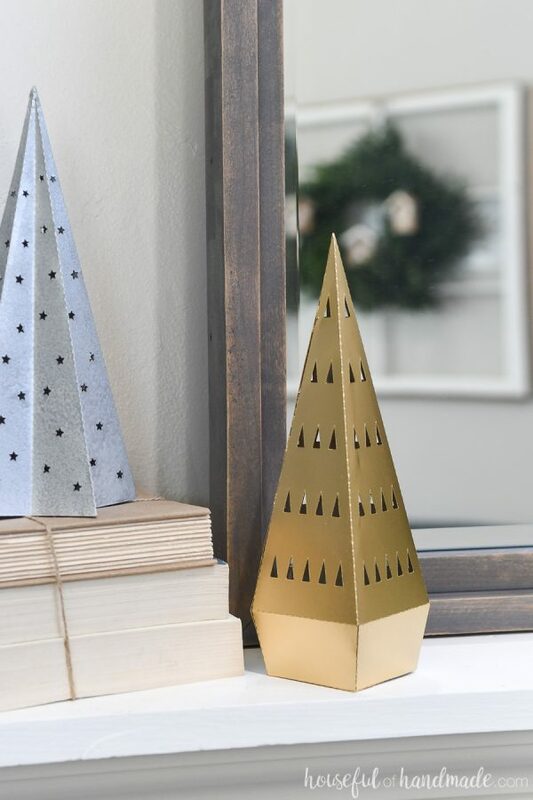 Decorate your home this Christmas with these decorative 3D paper Christmas trees. 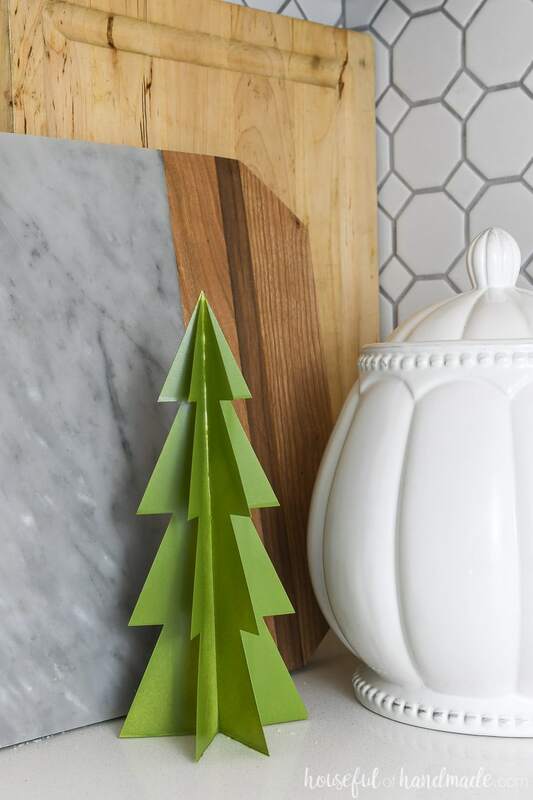 Easy to fold Christmas trees can be made from any color cardstock, or paint them to match your decor. 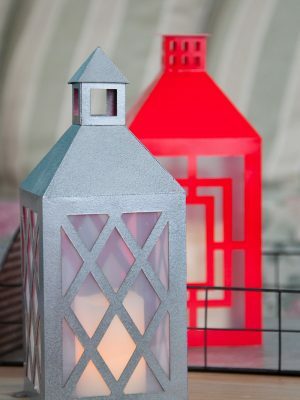 Cut the templates and decorations with your electronic cutting machine or scissors. The paper Christmas trees can be resized in your design software. Just make sure to resize all components at the same time and lock the aspect ratio to ensure the pieces fit together correctly.